Your home is your castle. You want to make sure that it is well protected at all times, not only to safeguard your personal property but you and your family as well. This is why at Pros On Call, we take our business so seriously. And our business is providing our clients with 24-hour mobile locksmith services to make it easier than ever to get the help you need when you need it. We bring residential locksmith experts right to your door! No matter what type of locks need servicing, we arrive with all of the latest tools and equipment to get the job done quickly. So, whether you need a mobile locksmith to remove broken keys, help with a home lockout, change or rekey your locks, or anything else that you can image, we are here for you. Give us a call anytime or request our mobile locksmith services online and get fast, reliable, and affordable mobile locksmith solutions today. Local Experts Come Right To Your Door Ready To Get The Job Done! When you have a lock related issue, you cannot wait to get it solved. 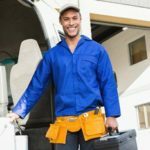 We have a mobile locksmith ready to be dispatched to your home on a moment’s notice, not matter what time it might be. You will get the same professional service at 11 pm as you do at 10 in the morning. We are mobile residential locksmiths that offer a variety of different services for all your lock and key needs. Every homeowner has different needs and expectations when it comes to home security. This is why our trained technicians are knowledgeable in many different areas. 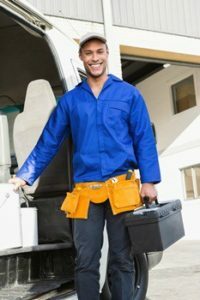 No matter what you need, we have a mobile locksmith who can get it done for you in no time at all. In addition to your front door, this includes service for lockouts in your bedrooms, bathrooms, and any other area around your home. There are many reasons why you might want to change all of the locks in your home, and we can provide fresh lock installations or change your existing locks quickly. There are times when a key gets broken off in your lock, rendering it useless. Not all is lost, however, as we can get that taken care of for you. It is important to safeguard your mail, so we offer strong locks to make that a reality. If a robber has damaged your locks, we can repair the damage and make sure that you are protected moving forward. If your locks are fine, but you would like to change out your keys, we can do that for you as well. Depending on your home, its location, and how much security you desire, we have a type of lock to suit your needs and your budget. We offer other types of locks as well, so feel free to make your requests known to us. And if you are not sure which types of locks will work best, we can offer honest and dependable advice to help you make the right decision. Our mobile locksmith units are equipped to service just about any lock brand on the market. We will arrive with all of the necessary equipment to handle brands such as EVVA, ACCESSGARD, INC, Alarm Lock, and so much more. As your 24-hour mobile locksmith experts, we want to provide you the best and most timely service in the region. We do that by promising to arrive at your home within 30 minutes of your call when you need a mobile emergency locksmith. We also offer upfront pricing with no hidden fees. And, all of our technicians have at least five years of experience in the field, so they know what a job will cost. The price that you are quoted before the job begins is the price you will pay when it is finished. There will be no surprises. Contact us today, no matter what time of day or night it is, and one of our local, mobile locksmiths will be right over to take care of your security needs. Mobile Locksmith https://prosoncall.com/locksmith/residential/mobile/ 3.9/5 based upon 7 reviews.